Paula founded kp associates in 2002 after a successful career with two respected Northern Ohio boutique retained search practices and as an entrepreneur. 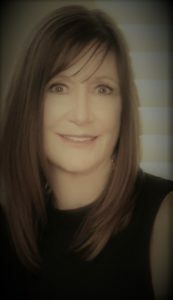 Beginning in the early 1990’s as a Researcher/Recruiter with a regional firm, within one year Paula had become the “go-to” candidate development specialist for especially difficult assignments or when a customer demanded results within extremely tight deadlines. Five years later, Paula had risen to Project Leader, managing teams of search and research professionals in the completion of the firm’s most challenging searches as she brought new clients into the practice. Paula founded her own solo retained search practice in the late 90’s. She completed search assignments for clients in information technology, retail, and manufacturing. In 1999, Paula brought her expertise to a national boutique retained search firm where, within one year, she established records unbroken to this day in personal production, new client development, and speed of candidate slate presentation. Since founding kp associates, Paula and her team have successfully completed multiple assignments for Chief Financial Officers, Chief Technology Officers, and functional Vice Presidents, General Managers and Directors for a select group of clients ranging from privately held and family owned enterprises to mid-cap enterprises to publicly-traded Fortune 500 corporations. kpa celebrated its 17th year anniversary in October, 2018 with record sales, and unmatched results in search closure cycle time, new hire retention and performance, candidate diversity, and customer satisfaction (over 95% of kp associates’ searches are completed for current clients or client referrals). We were one of kp associates very first clients and we have used Paula for multiple executive level searches since 2002. Every individual we have hired through Paula’s efforts has proven to be both an “A” player and the best executive we ever had in the functional areas of Global Sourcing, Quality, and Manufacturing. Paula’s greatest strength may be her unbelievable ability to persuade very passive star candidates to pursue the opportunities that she is presenting. In fact, I have had a number of her candidates relate to me that during their careers, Paula was the only recruiter who ever succeeded in convincing them to pursue another opportunity. We have had outstanding results using Paula and kpa, and I would highly recommend them to anyone starting an executive level search.